Viacom is threatening to undermine the fundamental principles behind the way you exchange data with friends over the internet. That's the view of YouTube and parent company Google , which made the claim in response to Viacom's lawsuit. Apparently, media company Viacom's $1bn filing against YouTube video sharing site could restrict your online freedom forever. Viacom wants YouTube to filter all its content to make sure that no television clips are illegally uploaded for public consumption. But Google, which filed its response to the lawsuit today, has demanded that the case be dismissed without trial. It's worried that if Viacom is vindicated, it could set precedent for future internet conduct relating to data uploads. "By seeking to make carriers and hosting providers liable for internet communications, Viacom's complaint threatens the way hundreds of millions of people legitimately exchange information, news, entertainment, and political and artistic expression," said Google in court yesterday. Currently, Google and YouTube hide behind a 1998 'safe harbour' law. The law states that website owners are not responsible for material uploaded without their knowledge, as long as they remove the content if copyright holders complain. Google says that it greatly respects the importance of intellectual property rights. It says that it already goes well above and beyond what the law requires in terms of policing the site. Staff at the company are currently forced to scour YouTube on a daily basis to find and complain about unlicensed content, according to Viacom CEO Philippe Dauman. 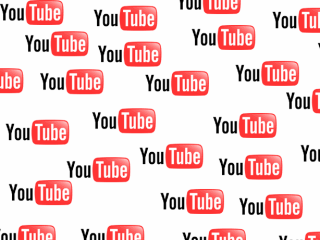 The company insists that Google and YouTube are profiting from their 'stolen' content. If Viacom were to win its lawsuit against YouTube, it is likely to change the way that data uploads are handled across the board. This could potentially lead to the freedom we currently enjoy being severely cut back.